Major investments could be coming to Kitigan Zibi Anishinabeg First Nation after a number of land claims were settled by the federal government. The agreement announced Monday includes more than $116 million for multiple land claims around Maniwaki, Que. The First Nation will be able to use the money to purchase about 147 hectares of land to add to the reserve. Band councillor and lead negotiator Frankie Cote told CBC Radio's All In A Day Tuesday that the funding could also pave the way for improvements to the reserve, such as an arena, aquatic centre or community centre. "It will allow us to make investments within the community and for community members that we probably couldn't do otherwise," he said. "Those are some of the things we can start seriously thinking about now." 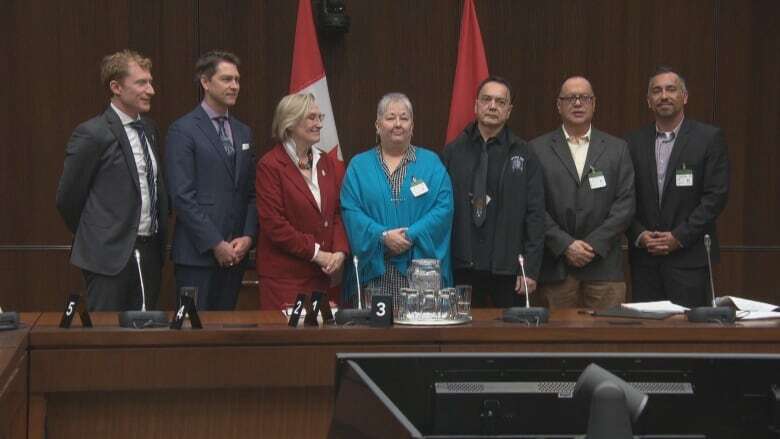 In addition to the financial settlement, the government signed a memorandum of understanding that will guide continuing negotiations between the federal government and the band council, including rights recognition and consultation. "It shows the government is actually committed and serious to discussing the issues and the items we prioritized," Cote said. Even though the memorandum is non-binding, he said it means a great deal to have a government that's willing to talk. "Governments of all stripes have failed and neglected us throughout my life. This is the first government that said, let's sit down and negotiate," he said. He expects, as one example, that the government will consult with the First Nation about the new process for redeveloping LeBreton Flats. "We can actually be an equal partner sitting at the table, to actually have a say and participate and receive benefits from any development that happens in our territory," Cote said.